I saw this on .... PINTEREST... and HAD to try it. Print out what you want to paint onto your project using Microsoft Word, trace and perfect! 1. Sprayed wood navy blue, dried over night. 2. 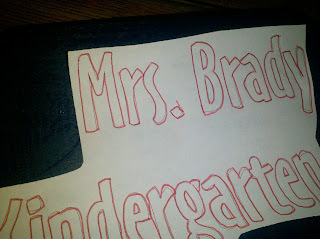 Typed "Mrs. Brady Kindergarten" in Microsoft Word I made sure I put the font on "outline" [select font, right click, FONT, then click on "outline"]. 3. 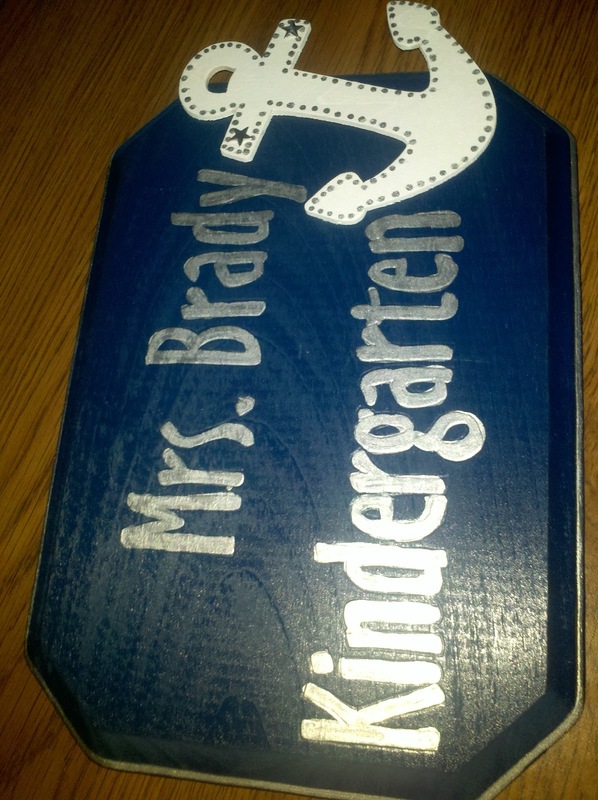 Traced words onto spray painted wood. 4. Painted letters in with a paint pen. 6. 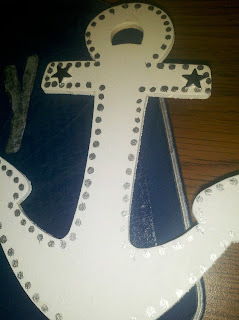 Glue anchor onto sign. 7. 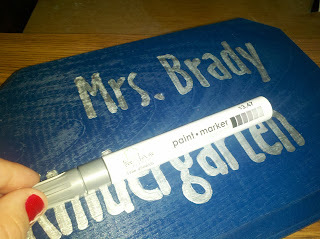 Sprayed with clear to "set" and "save" my sign for years to come! 1. 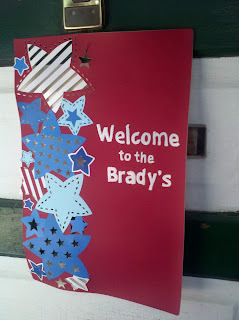 I bought this place mat at Joann's on clearance this week ($1-2). 2. I printed out "Welcome to the Brady's" using Microsoft Word. I made sure I put the font on "outline" [select font, right click, FONT, then click on "outline"]. 3. 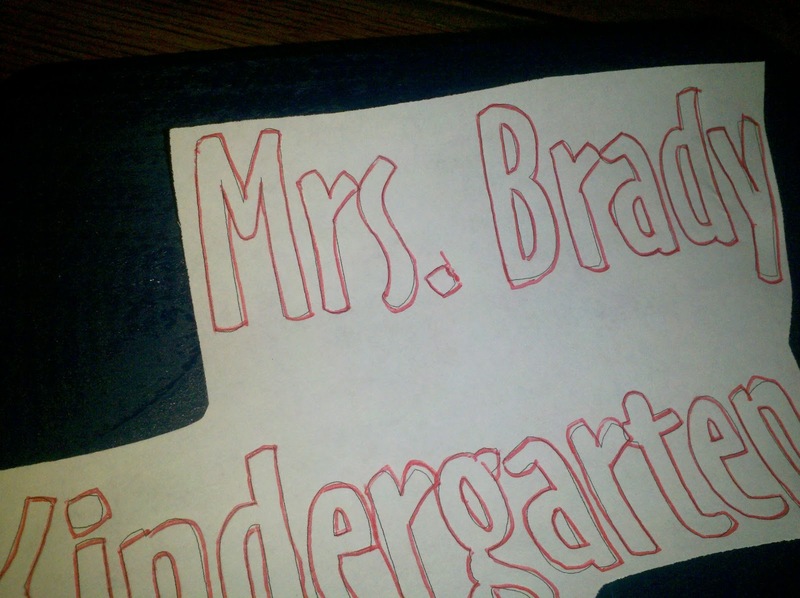 Pushed VERY hard while tracing the words onto the foam place mat.